Our infrastructure (roads, bridges, airports and more) is in dire need of repair, and our political solution to pay for these upgrades is a big gas-tax increase. Dangerously, our political elites – Republican and Democrats - are strongly advocating for this tax increase. "Our infrastructure's crumbling, our roads and our bridges are in dangerous condition." argued the former Pennsylvania Governor Ed Rendell. Yes, our infrastructure is very important. It allows rapid transportation of commerce, information and people throughout the country. Corker correctly understands the need to “put our infrastructure on strong footing.” However, he and the Congressional gas tax-hikers are totally wrong on how to improve and then maintain Americas’ infrastructure. Federal expansion and waste and incompetence must be stopped. Tell your Member of Congress and your Senator, “No on a gas tax increase.” Tell them to promote public and private infrastructure projects with private companies that invest and manage the projects. Americans will save money and have a much better infrastructure system. As President Coolidge correctly observed: Collecting more taxes than is absolutely necessary is legalized robbery. Again, call your Senator and Representative. 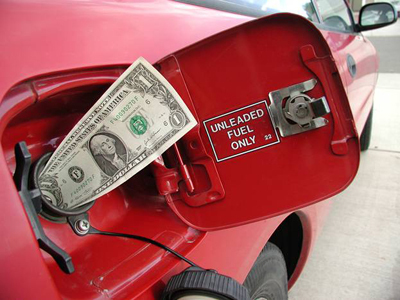 Stop the unnecessary gas tax increase. For some reason people still believe government is going to do what they say they going to do with these tax revenues. And every time we are fooled again. The money ends up going to favoritism. When will we learn?